David Lessinger is the type of volunteer who is here volunteering his time on Saturday evenings almost every single week of the year. He quietly moves from task to task making sure that everything gets done. He’s been a volunteer at North Shore Animal League America for more than 14 years and hardly misses a week. 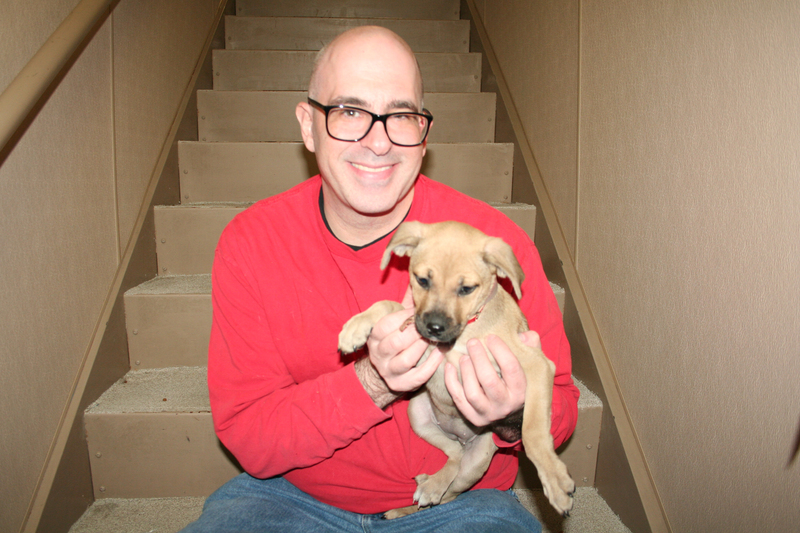 David will do anything if it’ll help homeless dogs, cats, puppies, and kittens. When asked what motivates him to continue to volunteer here, David immediately said “interacting with the rescued animals—petting them, holding them, and helping to socialize them.” David relies on his volunteer job to be around animals because, due to his living situation, he can’t have any pets right now. He’s had some experience with dogs as he used to walk his Aunt’s Schnauzer named Jack and his brother now has a two-year-old Miniature Pinscher. “I enjoy working with Fred also,” commented David. 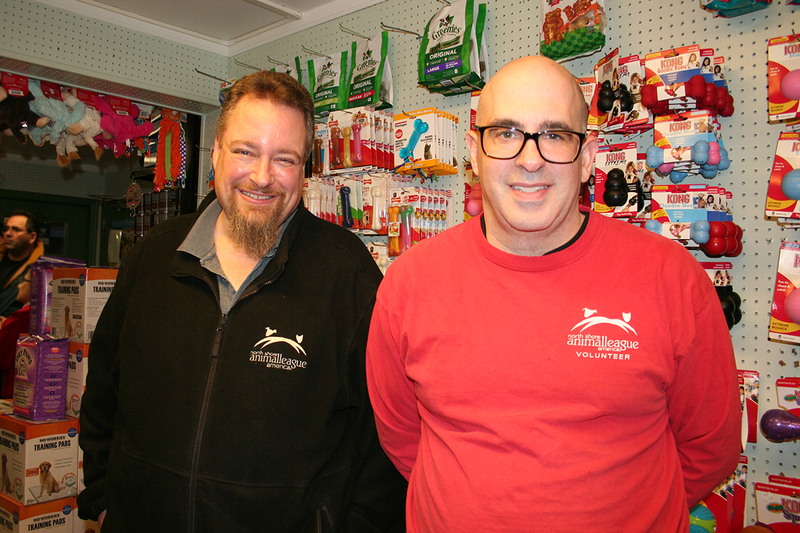 “He has taught me about all the animal-care products and I can help adopters who come into the store.” While he is on his shift in the pet store, David makes sure all the shelves are stocked as well as helping to direct adopters to various products including non-clumping litter for kittens and the puppy starter kit. David always ends his evening by going over to the Adoption Center. He goes directly to the kitchen area and puts several cans of specialty foods on the shelves. He purchases these so the kennel managers or veterinary technicians have special food to tempt the animals that may not be eating for various reasons. Then you might see him make his rounds behind the scenes giving some extra tender loving care to the animals and handing out treats. This is the kind of volunteer that David is.